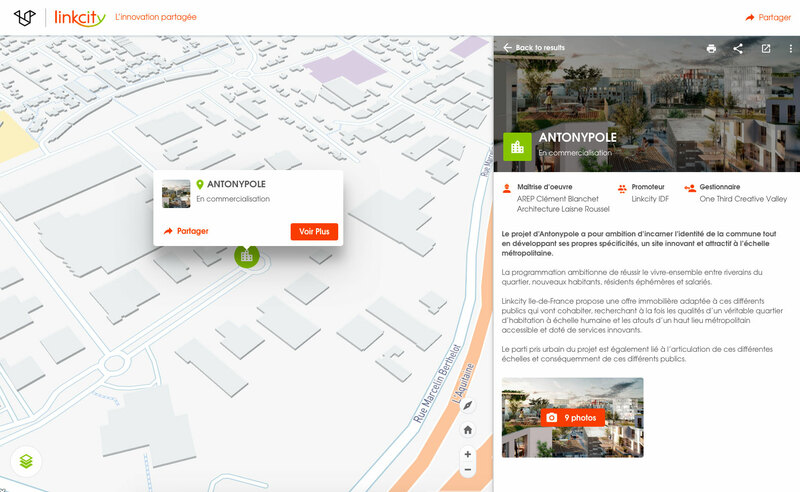 Linkcity created a Mappr of all its properties in France. The Linkcitymap is a very powerful commercial tool showing the plurality and transversality of the Linkcity projects. Among other things, it offers the ability to create custom maps on the fly, to search for information on a project using the search engine or to print project datasheets. Create beautiful interactive 2D and 3D maps to enhance your developments, projects and properties. Organise them simply by category and offer the end user an enhanced user experience. Generate interest by highlighting the quality of your local developments. Offer improved visibility to your audience: employees, prospective customers, clients, partners and institutions. Add immersive media: images, virtual tours, video clips, interviews, 3D, 360°, VR models etc.